FUGAR & COMPANY, established in 1977 is pace-setter and one of the leading law firms in Ghana. It provides legal services principally in the areas of commercial and corporate practice and related or cognate fields of law. The firm is strategically located in the central business area of Accra with ease of access to the law courts, financial institutions, Government Ministries, Departments of State and public institutions such as the Ghana Stock Exchange and the Registrar General’s Department. The firm currently employs not less than thirteen (13) lawyers. The firm also maintains an active professional Administrative Secretariat – backed by strong IT support. In keeping with its policy of maintaining high standards, Fugar & Company is well-equipped with all operational facilities including a well-stocked library. It is the firm’s continued ambition to be at the cutting edge of legal developments to ensure maximum client satisfaction. To this end, the firm has two special projects – Production and Publication of Reviews on Ghanaian Legislation and Organisation of Seminars on all topical issues of law from time to time. Over the last 40 years, Fugar & Company has built a solid base of local and international clients and has worked closely with domestic and international corporations, financial institutions, regulators, governments, state agencies and public-sector bodies as to carve a niche for itself as one of the preferred Law Firm of choice in Ghana. Nederlandse Financierings – Maatschappij voor Ontwikkelingslanden N.V.
Energy/Natural Resources: El Paso Energy Inc., Ghana National Gas Company, Canada Oil, BP,Statoil, El Paso Energy Inc., Afren Plc, Anadarko, Chase Petroleum Limited, Leoshield Explorations Ghana Limited, Sinopec International Petroleum Service Limited, APR Energy, Aker Solutions Holding AS, DOF Subsea, VITOL S.A., Halliburton, Maersk. FUGAR & COMPANY is a member of DENTONS, the Nextlaw Global Referral Network and the broadest and most innovative legal referral network in the world with over 450-member firms and 25,000+ lawyers across 180 countries. Fugar and Company is up to speed with the digital age providing its clients with access to top legal talent globally. 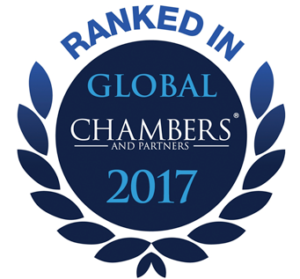 The Firm is ranked in Chambers & Partners (Global Rankings) as well as recommended by the International Financial Law Review.